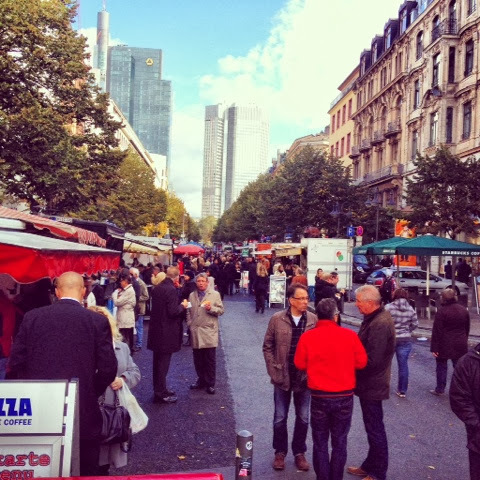 It would be my luck to walk out of my hotel and find a street fair filled with street meats and popular German dishes. 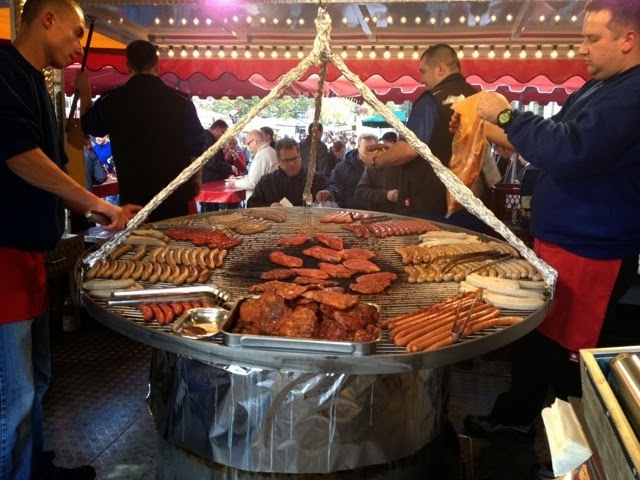 I followed my nose to the first vendor who had a giant metal swing full of meat hanging over a fire pit. It worked for me. For €2.80 I got the "original thüringer". I didn't know what to expect, but it sounded like a good place to start. I got a plate of sausage and fries. I drowned the plate in ketchup and mustard and devoured it on the spot. 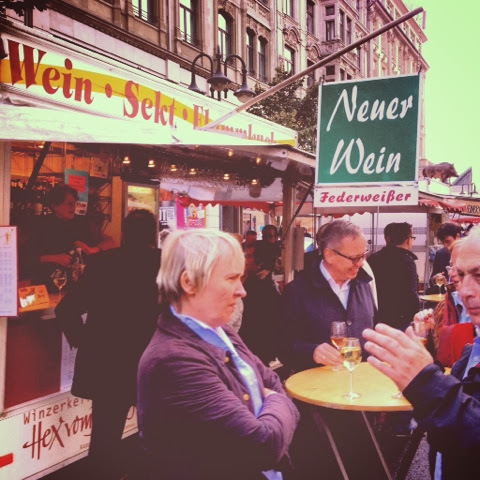 Locals were feasting on weinerschnitzel and curry wurst on their lunch breaks. Some were ever enjoying a glass of wine from the truck designated for drinks with high top tables out front resembling an outdoor bar scene. 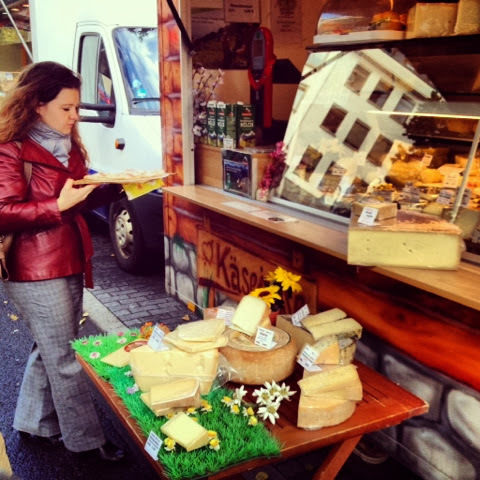 Some girls ordered thin crust pizza made-to-order from a cheese truck. Point to your cheese of choice and in just minutes you will have a personal pizza to go.